Now, this post is not about 'How the collaboration video should look like to make diabolo players happy'. This post continues the idea 'How to get more views? because more views mean more diabolo players in the future'. I manged to get the data, thanks to Lucas, from our supposedly most successful collaboration of 2012. As I expected this collaboration has the worst retention rate profile. But that is normal because it has ~1M views. That means that more people outside from the diabolo world watched it, it is not bad, it simply means that for those people is harder to watch the whole thing. - Short video does not seem to be linked to more views, at least not in our range of > 5 minutes. What is the true difference between 2012 and the other collabs? Lucas, and his consistent approach to become a video editor. Because Lucas was already creating a consistent big base of viewers interested on juggling, our video was watched by many people. Potentially now there is somebody starting to do 4 low because he watched that video. So what can we do if we want to get to bigger audiences? - Improve our approach of distribution. e.g: sharing also on FB video, using Lucas channel as advertising with small teasers one the video is done. I want to do that for the EJC diabolo Battle as well. - We can gain a lot by improving marketing a bit. - We could focus on having the community happy (some minimum guidelines/debate), and then parallel get to more audience improve the marketing. So I understand that for you is more important to get more views than the good for everyone? Views are not important,we are not pros, we re diaabolo players. Trr to get many views is like oh I want to be famous and that the people see what can I do. For me diabolo is just have fun and here it was just make a video gathering all the diaboloca community. I have obviously not said that. But I perfectly understand it is tempting to oversimplify a text, for both bias, or laziness. And I would not blame you too much for any of them. I have explained why one of my goals was getting views and it does not involve me being famous. I want the community to grow, because I think that juggling brings a lot of happiness. And it is cool to know what the video is for you, like me you have repeated yourself several times, but here we want to know what it is for everybody. For me diabolo is just have fun and here it was just make a video gathering all the diaboloca community. So when you say "all", you mean every person that submitted? I am asking again because the previous time I asked you did not answer. +1 to the feedback based editing. 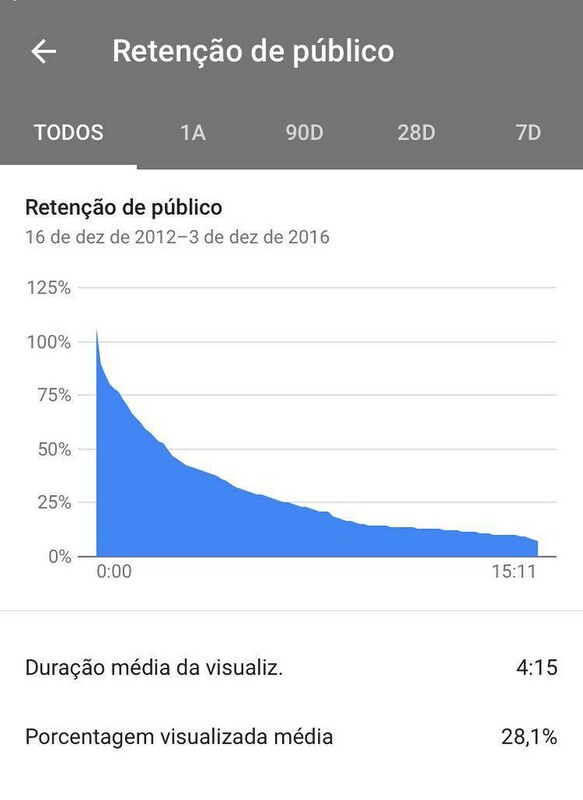 Perhaps increase the time avaible to submit vidoes. I agree with Wis' comments that if we don't vote/decided as a group, we're not progressing, it's just the vision of a few of us, or the editor at the time, not the majority of the community. I say majority because it'll be impossible to please everyone with ANY decision that is made - just take a look at why we're having this debate. Clement made a decision on the direction of the collab video and there are people who don't agree with it. The point I'm making is that this is inevitable - regardless of how fair we make a voting system, not everyone will be pleased with the outcome. However, as Jordan put it, at least we can have clear expectations. So, I suggest that we open a voting system now, and keep voting open for a couple of months WHILE we debate. The benefit of this is that someone can be involved a little or a lot - not everyone has the time or inclination (like some of us) to trawl through lots of text to possibly change their opinion on a matter. And if this means that some won't have ALL the facts presented, so be it. Wis, what do you think? Is it possible to open voting option that can stay open for a few months and maybe give people the option to change their vote? All we need to do is decide on the 3-5 visions. I'd suggest using the 3 that we already have and maybe get 2 more from people - Pieter/Clement or anyone else that has a vision that doesn't look like one listed below, what would you think about presenting it? You may notice that I keep showing this list - I do this because otherwise, I see this conversation going in 'circles' for a long time with not much output. This isn't a criticism of anyone in this forum, it's just human nature and the way we naturally tent to behave without a few options being presented to us, to begin working on something. I m tired about this thing, is impossible to have an equal solution. Doesn t worth to argue about something like this. It is worth to me to discuss this topic, and I am glad I seem not to be alone. It is a pitty that you seem to give up on YouTube and Facebook and creating longer videos because of this discussion, but I can't understand why you decide to do so. If thinking and discussing were a reason for people to walk away, then this would be a very sad world for Wis.
Good luck with your juggling and your videos! @Richard: I like your post a lot, Thanks! I like your idea of an open poll, I will try to check as soon as possible what are the technical possibilities. Also, if you can't find an easy way to get a survey going in this forum, maybe consider using Survey Monkey or another website like that - it's free and they are set up specifically for situations like this. Ok, I have created a poll with the visions, Duncan checked and yes we can change the vote, and I have checked that we can add more options whenever anybody wants. 1- Show the poll's results to anyone. 2- Only show the results after someone has voted. 3- Only show the results after the poll has expired. I have chosen the third one, to avoid people being influenced by other people choices. I could only choose the 3rd option when setting a 'Deadline' and so I have put 90 days. I can change it at any point in time. "To present to the world the highest level of diabolo skill and creativity whilst simultaneously portraying us as an inclusive and friendly community's. Also, inviting others to join." First I think it is better to switch 'skill' and 'creativity', or just skip the 'skills': "To present to the world the highest level of diabolo creativity." Second, "...whilst simultaneously portraying us as an inclusive and friendly community's. Also, inviting others to join." what does this mean? If I should vote I don't think this would be clear to me... so I think we have to make this a bit more clear/specific, before opening the poll. Also, can people change their mind and vote again? Yes they can, sorry I forgot to mention that. I would propose then "To present to the world the highest level of diabolo skills and/or creativity." I think feed 12345 is not very creative, but hell yeah we want it in. I think the meaning is clear, the 'to join what?' could be the question, but to me it is clear it means 'join the community'. Grammar: "an" is for a singular, so therefore: "community". The plural of "community" is "communities", but DCA is one community. Edit: Okay, the wording is the actual poll is already singular. I was just reading the text in Wis' post. Sorry. Done. I had missed that you wanted to swap them. So far two people have voted. 3 votes, having no result. I do agree that showing high skill diabolo is very important because then it looks more appealing to an outside audience, but one problem is that choosing the high skilled players all the time basically diminishes having to send in videos. I personally would much rather focus on having any skill level in the video because there are so many people that send in clips that aren't as good as ofcourse the best people. Basically my point is that only having high level diabolo players in the video will lessen the amount of people that send in a video, it doesn't have the community aspect, and it shows people that you must be as good as those people in the video to even have a chance to be in the video. I do get that we need to have a unique and original idea(s) for the vide, but that can be done with players of any skill, you can also have it be with a theme for the video or just something to make it unique. Again though that can be done with having people of all types of skill. The people outside of diabolo culture don't understand what is difficult or what is 'innovative' and what is not either, so this high skill thing is not valid. Red bull might be valid but even PAO isn't getting too high scores with view count. Why the fact that people outside cannot appreciate the difficulty or innovative part of the tricks makes sharing high skilled and innovative tricks worthless in your eyes? For me it is so that even if people cannot recognize yo yo tricks, they all can feel Janos Karancz do super human stuff. And they may not be able to tell on they're own 'absolute' values of the tricks, like '5low 64 is a crazy hard trick, objectively' but they can feel if they see 2 tricks in a row which one looks harder 2low vs 3low, e.g. Also I would say that people can recognize if they are fed too similar kind of tricks... maybe variety should be part of the vision? But for me the need of sharing 'good' tricks comes from the community own needs, not from the outside. OK, silly question but where is the poll? maybe it'd be worth creating a separate thread to advertise the poll, considering there's such a low amount of people who've voted in it?